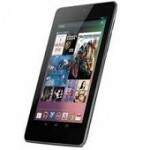 The original Google Nexus 7 completely changed what users expected from inexpensive Android tablets when it launched being able to get a great screen, a powerful chipset and the very latest version of Android was a revelation. Nothing could beat it in terms of value, but the march of progress has been rapid in twelve months. Google has paid attention to its competitors and worked closely with manufacturing partner Asus to improve the Nexus 7 in almost every way for the 2013 model.